There are many criteria to use in selecting a voice teacher, a great singing voice is an obvious metric to use. There are those who argue singing well is the ONLY criteria for choosing a voice teacher. However, the reality doesn’t always match up to conventional wisdom. In this episode, John discusses teaching versus “doing” and why a teacher with vocal struggles may be a more effective educator. Hey! This is John Henny. Welcome back to another episode of the Intelligent Vocalist podcast. I will try and refrain from clearing my throat today, but it’s pretty dry here in Los Angeles. It’s kind of like when Mother Nature got to this part of the world – she was kind of bored and just said “Okay, you guys are just going to be warm, bright, and dry.” That’s why when it rains we all lose our collective minds. But for now, it’s just very dry. It’s not necessarily the most perfect place for singers. Not quite as bad as Vegas, but there we have it. So the big question today: Do you need to be a great singer to be a voice teacher? Voice teachers have to sing really well. I mean, it would seem to make sense, wouldn’t it? And it certainly kind of makes sense with the average public. But the answer ultimately is NO. And this is just not voice teaching but teaching in general. They have found that oftentimes, the most skilled and the most expert people in a field don’t necessarily make great teachers. And they are seeing that the old idea of those that do often make great teachers. They’re seeing that people who are experts, who are really brilliant in what they do, they so far removed from having to learn the material and master the material that they don’t relate as well to people who are struggling to learn it, or who are new to the material. There is a writer Adam Grant, and he is I believed the youngest tenured professor at the Wharton School. He’s written a couple of great books. One is Give and Take, the other is Originals. He is an organizational psychologist, I believe. But he’s just really brilliant at understanding business relationships, and learning and teaching. And I really recommend anything he does. I’ll put a link to this article in the show notes. But he goes into this in a recent blog post. He tells the story of how, after he published the Theory of Relativity, Einstein was given some teaching positions. And he didn’t really do well, didn’t really set the teaching world on fire. His classes weren’t really well attended, and as they say, he wasn’t really a good speaker. He wasn’t an inspired teacher. Grant talks about his own learning going to Harvard, and studying with great art teachers who could tell you all the reasons about why a painting was – they found this wonderful, and they could wax on and on about the qualities of a painting, but not tell you why it was important. And they had the same experiences in the other classes as well. I myself, back when I was a young man, I was a passionate drummer. I started to play drums at about 11 years old, played drums professionally starting in my teens through most of my twenties. And I had the opportunity to study with an absolute drum hero of mine. This person was one of my favorite of all time drummers. He had played with Frank Zappa, which in the drummer world was a big deal because Frank’s music is incredibly complex. And when I went to study with him he really didn’t have a curriculum. I mean, he had a few things that he’d worked out, but the lessons were just kind of okay. I was thrilled to be there. And I was just kind of watched him play and listen to his stories, and that was worth every penny. But in terms of really learning to play, it wasn’t my greatest experience. Then I went to this drum teacher who was an older gentleman. And he had been, in his youth, he had played jazz when we was this up and coming jazz player. He had been profiled and down beat, and he played with Billy Holiday and Charlie Parker. But he kind of got sidetracked, as people of that jazz generation did, with heroine. And he had problems. And the aftermath of that career kind of went away. But he found this gift for breaking down drumming, and for teaching that was absolutely amazing. And I went and studied with him. What he showed me was just mind-blowing. And really, I still play the way he showed me today when I had the opportunity to play. And he ended up becoming rather well-known ever since he passed away. But Neil Peart who is the drummer for Rush – he’s kind of a drum hero to many. Neil Peart found out about this gentleman, his name was Freddy Gruber. He took a year off to study with Freddy. And Freddy was crazy. I could tell you about Freddy all day long, but man oh man was he a gifted teacher. Now, when Freddie would sit down and play, it wasn’t that great. It’s kind of his playing days were kind of behind him. He didn’t have lots and lots of drum feels that would blow you away, but his insight to drumming – invaluable. So let’s take that over to teaching voice. I have spent a large part the past, or at least a decade (15 years) training other teachers, and it’s kind of more of my focus these days. I spend less and less time doing one on one private lessons. But I do spend a lot of time in helping train teachers. I have my Contemporary Voice Teacher Academy. And as I would go around and do teaching trips and worked with these teachers one on one, so many of them did not have great singing voices, or they are struggling with the very areas that singers often struggle with. And they kind of didn’t have the gift or the skill level, at that time, to really have a professional career or career on high level. So these people kind of found themselves trying to fix their own voice. They also found themselves beginning to learn a lot about the voice, and then showing others and helping others. And in their frustration they actually were able to help people sing better than they could. They would feel that this was a weakness, and they would be embarrassed. I would have to reassure them that you don’t have to be a great singer in order to become a great teacher. Now, you can go on Youtube and the jungle of Youtube voice teachers. And I would tell you anybody who puts out content, my hands off to them. Any teacher that’s out there on Youtube and putting it out there, I give you a level of respect. Part of being an independent voice teacher, because you have to go out and fight for every student, you don’t have a system that’s giving you students. You got to be a little bit of a salesman, a little bit of a showman. And there are people out there who will tell you “because I sing better than anyone else, I can teach better than anyone else.” And I think that’s a great marketing hook. I think it’s a great angle, I think it totally works. I think it totally brings attention. If you’ve got the vocal chops to make that statement – more power to you. And you can show it off. But it’s not true. It doesn’t make it untrue – but that statement “I’m a great singer therefore I’m a great teacher” is nonsense. “I’m a great singer, and I might be a great teacher.” Sure, you can say that. “I’m a great teacher and I’m also a great singer.” Sure, you can absolutely say that. I’ve seen great teachers who are fantastic singers. But the idea that because you can sing well you can teach it – it’s just not true. And as they begin to look at it, and people look at educators and the psychology of education, there’s nothing inherent in singing really really well that means you can impart this knowledge to others. 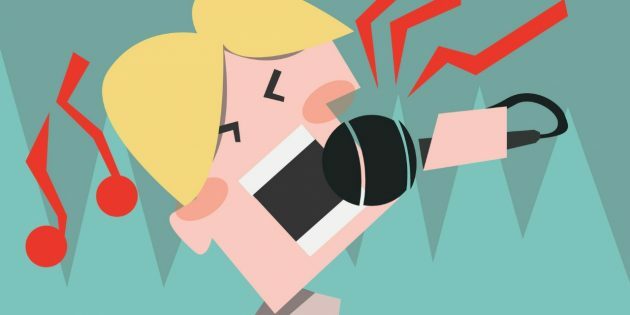 Sometimes it can actually hinder you as a teacher, especially if singing comes easily to you. There are people that singing, whether you want to call it talent – sometimes the voice just blends itself better to singing, sometimes bigger voices have a harder time learning to sing – it’s a little bit trickier to train. If you’re blessed in that way – fantastic. But if it’s easier for you then you possibly don’t have to dig as deep and spend this much time in the practice room, and understand the struggles that other people go through and find ways around and through these struggles. And then find ways, not only to have it make sense to yourself, but to have it make sense to your students. Vocal Science – and I do have my course “The New Science of Singing” and I’ve done some live webinar series on Vocal Science, and I’m an advocate of Vocal Science in that it’s practical and it helps you – not just science for science’s sake. But when I was first learning the concept I’ve absolutely struggled with them. And so, I would just spend time – I would go on walks and I would just think “How can I understand this in a way that I can explain it to others?” And when I began to understand it I said “Okay, how can I make this more simple for other people? How can I make other people understand this?” Make them understand it. It was in my struggles to understand it that I believe I found ways to better impart the information to others, better help others. My voice – I certainly had my ups and downs with my voice. I most recently, when I had some extreme weight loss and get a radical change in my diet, I got some vocal weakness through that process that I had to work myself through. And in doing that, I’ve been better able to help people who are also dealing with vocal weaknesses and such issues. So I’m just saying, if your teacher is not the best singer, don’t worry about it. If they’re able to instruct you and help you, that’s all that matters. Their voice doesn’t matter. If you are a voice teacher and you are struggling with your voice, you have to know it is a bit of a blessing. It’s going to make you work harder. It’s going to make you break things down more. It’s going to make you seek more knowledge to make you more empathetic. Now, you do need to be able to use your voice to demonstrate. I mean, your voice can’t be a complete train wreck. But I’ve taught some of my best lessons with almost no voice. I remember the one teaching trip where I just completely lost my voice and literally could barely make a sound. And I was able to teach someone rather effective lessons. However, using your voice to demonstrate isn’t an important part of teaching. But if you’re delivering these demonstrations – this big, rich full thrilling sounds – those are just kind of overwhelmed the students. I remember being in voice lessons, the teacher would demonstrate this huge amazing sound, and I would just be confused. I’m like “I don’t even know what part of that I’m supposed to even begin to sound like.” So very often, your demonstrations have to be paired down to the understanding of the student. And you have to kind of exaggerate depending on how much pull the student needs to hear, to get to where it is that you want them. So the big, huge finished sounds don’t always work. If you are thinking about teaching voice, if you find that that’s kind of a passion, and you find that you’re beginning to help your friends and colleagues and give them little tips that you’ve learned, even though your voice isn’t great, that’s not uncommon. You, as you begin to learn and study, your own voice will be able to help those who sing better than you do. Your ears are going to start opening up because of the amount of time you put in with your voice. The only way that your vocal flaws are going to hinder you as a teacher is if they’ll discourage you from continuing to learn. If they discourage you from getting in the practice room, from taking your own lessons, from studying, from building your knowledge – that’s really the great downfall. But if you can find the push through, and if you can just dig deep and go, “You know what, I know that I can connect with people. I know that I can share my struggle. I know that I have empathy with what they’re going through.” You can develop their ears. Your most important tool as a voice teacher are your ears. Okay? Those two things hanging off the side of your head. That’s what people pay you for, is to be able to hear the voice understand what’s going on. And then prescribe an exercise – a shift or a change – that’s going to help the singer. It’s not about your singing. It really isn’t. As a matter of fact, I’ll share with you and don’t tell anyone else, but there are days when my voice is feeling really good. I’ll catch myself over-demonstrating. And I go like “Dude, you’re actually starting to show off a little bit. And it isn’t about you.”And I’ve had some voice teachers, colleagues of mine, that admitted doing the same thing. Sometimes my bad vocal days can actually be better teaching days. So if you’re a great singer – fantastic. And you coupled that with being a great teacher – amen. Then you should go on Facebook and say “I’m the world’s greatest voice teacher because I sing better that all the other voice teachers.” I won’t fault you to that, man. That’s marketing. I’m all about that. That’s great. Just don’t believe it. And you who are listening to this podcast – you singers – I just want you to be able to see through and just know the vocal truths. And if that’s your criteria for choosing a voice teacher, that is not your best criteria. That’s kind of like just using celebrity as your criteria for choosing a voice teacher. If that’s your only criteria, you may or may not be getting the best voice teacher. Again, that’s a totally different topic, and perhaps I’ll revisit that again. But just know that you really need to look at what the person can do for you. Do you connect with them? When you leave the voice lesson does your voice feel better than when you went in? Are you making progress? Does the teacher and students tend to sing well? Are they voices that I like? Do they teach in the style that I connect with, and do they teach the style of music that I want? Are they enforcing their aesthetic choices on me, or are they finding a way to bring out what I want in my voice and honoring what I want to sound like as a singer? And that’s how you know. It’s not about how well they sing. Hey, I want to thank you for spending this time with me. If you are thinking about being a voice teacher, well, I have good news for you. My Contemporary Voice Teacher Academy is now open. Just go to johnhenny.com. On the menu at the top, just hit Teacher Training, and you will get all the information. I’ve spent six months working on this – not that you need to care – but I’ve spent a lot of time. But it’s really the combination of 15 years of doing teacher training, and what I’ve learned in doing other courses. I’ve really found a way to get this information very focused, very streamline. There are quizzes throughout the way to help sharpen your knowledge, and then there’s a certification test at the end. And then I have a whole bonus area where I’m going to keep adding more lessons, lesson observations, lessons on how to get your studio going, and then how to build your business and build your authority as a voice teacher. If you’ve never taught a voice lesson before you can learn to teach from this course. If you have already been teaching but want to sharpen your skills in Contemporary voice teaching, I recommend it to you. And you know what, if you sign up and at the end of the first 30 days the course isn’t for you, you can just send us an email and we’ll refund your money. It’s not a problem. I really want people in the course that are getting something from it. So please, johnhenny.com, and just click on Teacher Training. Hey, that was your commercial for this episode. And until next time. To better singing! Thank you so much. Bye.